The Shreeji Realtor is focused on property management services in ahmedabad for the individuals who are not ready to commit time. Our groups of real estate experts are professionals with taking care of residential and commercial properties .. 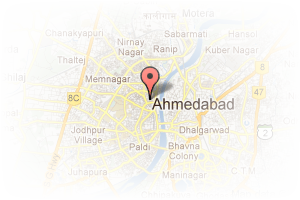 Address: GF-7 Aditi Elite Opp Manilal Party Plot,Motera, Motera, Ahmedabad, Gujarat, India. 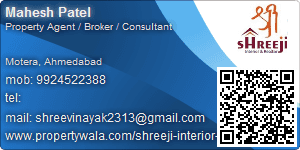 This Broker Profile page for "Shreeji Interior & Realtor" has been created by PropertyWala.com. "Shreeji Interior & Realtor" is not endorsed by or affiliated with PropertyWala.com. For questions regarding Broker Profiles on PropertyWala.com please contact us.